Every parent who's ever tried to ease a baby into bathtub of warm water knows it's likely going to go one of two ways: a bubble-fest full of laughs—or a splashy, tear-filled affair. The key to a happy bath ritual is making it fun. In kid terms, that means distract! Colorful toys and cheerful songs from the grownups can help keep little ones from protesting while they're being lathered up. 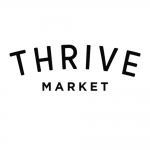 And for everything from super gentle baby soaps to soothing after-bath lotions, turn to Thrive Market for prices 30 to 50 percent less than traditional children's retailers. 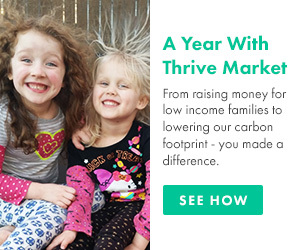 Keeping baby clean, happy, and healthy has never been so easy—or affordable!